So you got out of your home to work, early morning, without grabbing your keys. It happen to all of us. In fact, people lock themselves out of their houses more often than you think. There is no shame in locking yourself out of your home, so don’t be hard with yourself. Lockout incident can happen at any time, and to anyone. It can happen early morning or late at night. Many times, people locking themselves out during a moving to a new home, misplacing the keys is only one of the many other reasons to be locked out. When you lock yourself out of your house, you might be able to unlock one it by yourself, following the next steps. In any scenario when you’re not able o unlock the door by yourself, feel free to call us for help, whether it’s day or night. Our locksmiths will be happy to assist you 24 hour a day, 7 days a week. All of us like fresh air when we are stay at home. We open one window or another, every day. Some of us like to open all the windows in a day of cleaning, so fresh air and the breeze can come in to change the atmosphere of the house. Try to remember if you left any window cracked open. This is the first and the fastest way you can get back in your home. In many cases, especially when you can jiggle wiggle your door while it’s locked, you might be able to insert your credit card and pick off the latch by pulling it in. Pleas use your credit card carefully to apply force on the latch. Beware not to bent or break your credit card. In any case when the deadbolt is locked too, a credit card would not work. 3. Have You Left A Spare Key With Someone? So many people leaving a spare key with one of their neighbors, friends, and relatives. Are you one of them? All of us have one or few trusted people we can trust and give them possession to our keys. You can call your trusted person whom you gave the keys of your house. If none of the following above works, and you can’t unlock any door or window in your home, you can call a local locksmith. 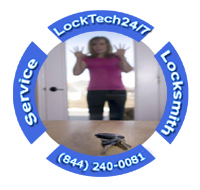 LockTech24/7 is 24/7 Emergency Locksmith and Mobile Locksmith Services. 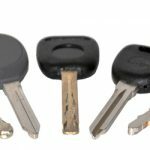 We provide lockout services in the greater Lehigh Valley PA. Our emergency locksmiths can unlock any door and can pick / open any lock. Don’t hesitate to call us when you need us most. Not only we can unlock the front door of your home, but we can also unlock a door of a bedroom. 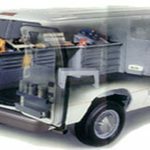 Our locksmiths can also unlock any car door or unlock business front door. Residents of the Lehigh Valley, Pennsylvania, can rely on the professional locksmiths of LockTech24/7.